Some Like It Hot… But Not When Waxing Your Beast! Yes you can, however a hot surface is never a good surface to work with. If your finish is dark I would not attempt applying any wax in the direct sun unless it’s a cold day. It’s all about surface temperature on your RV and not the sun. 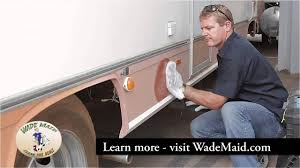 Can you use the RV wax (Wade Wax) in the sun?